Photo selection of Michel Montecrossa and Mirakali at the Spirit of Woodstock Festival 2018 in Mirapuri, Italy. Today, 26th July 2018 on the second day of the Spirit of Woodstock Festival in Mirapuri, will take place as Special event Michel Montecrossa’s Michel & Bob Dylan Fest 2018′ (from 19:00 – 20:00) featuring great poetic and New-Topical-Songs by Michel Montecrossa and Bob Dylan. 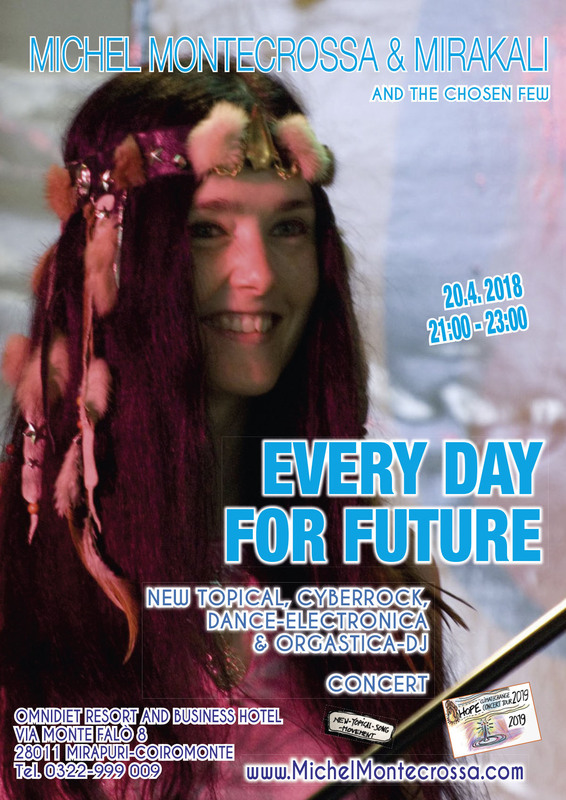 Starting today Michel Montecrossa and Mirakali will play live on all 5 days – from 25th – 29th July 2018 – of the Spirit of Woodstock Festival in Mirapuri, Italy.